Dr. Camp received his DDS in 1964 from the University of North Carolina School of Dentistry and an MSD in pediatric dentistry in 1968 from Indiana University. Following several years of teaching and practicing pediatric dentistry, he received a graduate certificate in endodontics from the University of North Carolina (UNC) in 1972. Dr. Camp currently serves as an adjunct professor in the Department of Endodontics at UNC's School of Dentistry. He is a member of numerous professional organizations and has lectured internationally on endodontics, pediatric endodontics and traumatic injuries. 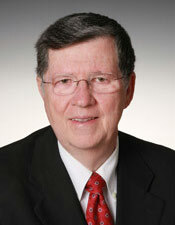 He is the co-author of a chapter on Pediatric-Endodontics in the recently released 10th Edition of Pathways of the Pulp. Dr. Camp is in private practice specializing in endodontics.